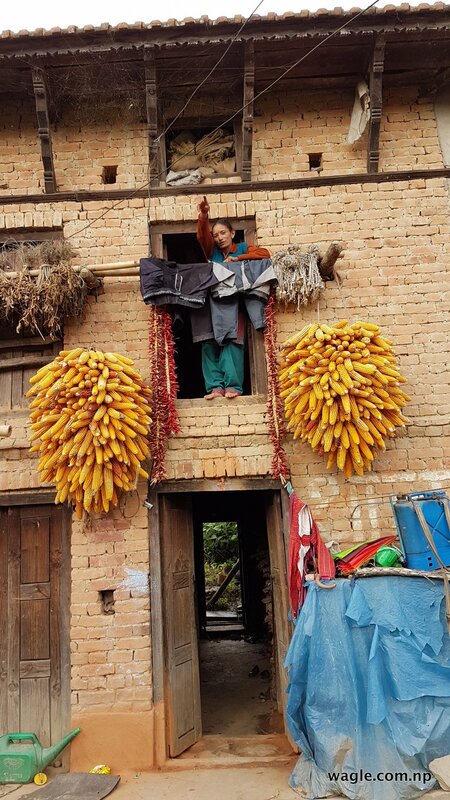 Harimaya Gopali of Bajrabarahi said her house suffered a minor damage in the April 2015 earthquakes. Her relative’s house across the road partially collapsed. She said she makes a monthly trip to Kathmandu to sell things that are produced in the village. Those corns are kept that way because there’s not enough space inside the house to store them.